Registration & Breakfast: 8:00 a.m. Program: 8:30-10:15 a.m.
Planning to attend? Register here. For topics, speakers, and other background information about the event, please click here. Additional details below. 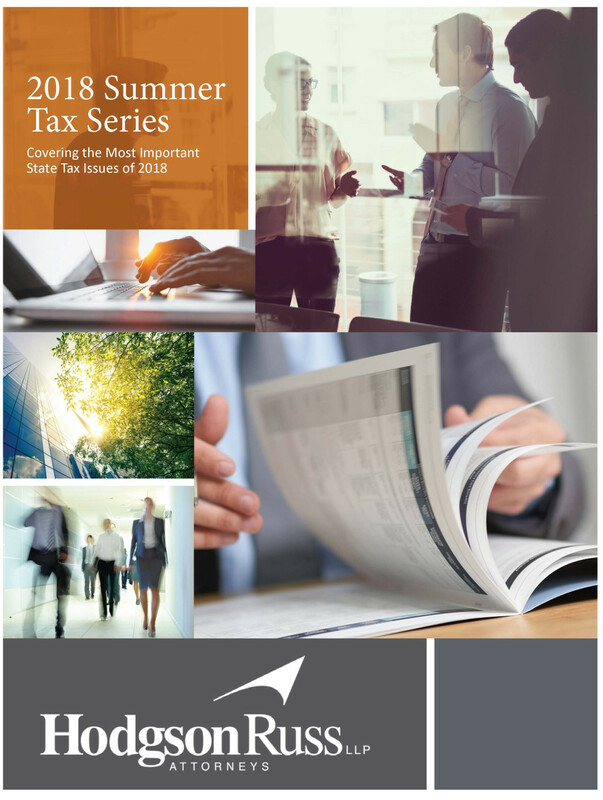 The answer is “plenty!” Hodgson Russ’s experienced tax attorneys will provide insight into some of the most critical tax issues today, including the impact of the TCJA, New York State tax law changes, new data privacy rules affecting New York businesses, and updates on a range of audit issues. Our sessions are designed for financial professionals such as CPAs, CEOs, CFOs, COOs, corporate counsel, and tax and financial advisors. Stay ahead of the curve to ensure you are informed with the most up-to-date information. Two hours of CPE credit per seminar session is available. CLE credit has been requested. The cost is $60 per session or $375 for all seven sessions (fully transferable).